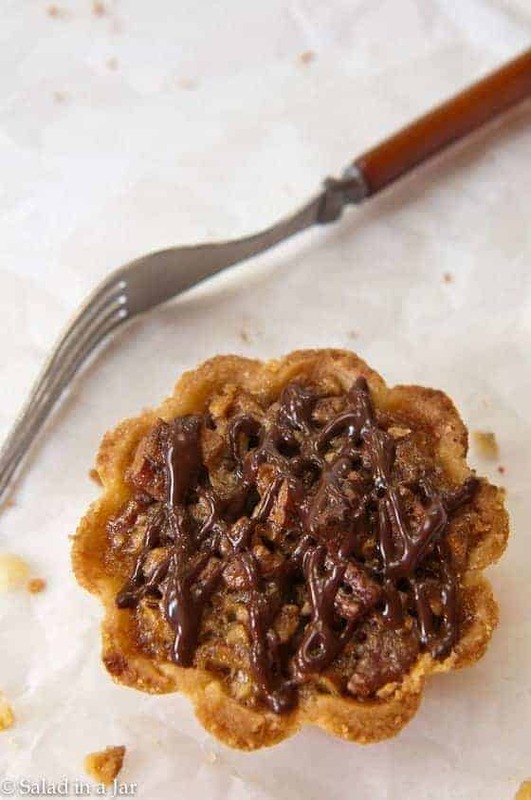 Browned Butter Pecan Mini-Tarts are a pecan-lover’s dream. What we have here is a pecan-studded, brown butter-based filling contained in a buttery cookie crust. Drizzle melted chocolate over the top for a candy-bar-like treat. Since the tarts are small, and you don’t have to cut slices with a knife, portion-control is judiciously accomplished for you. Tailor-made for a party or Thanksgiving. My dad used to say, “The higher they go, the farther they fall.” He was typically referring to somebody super excited about something one minute and lower than a snake soon thereafter. I had a similar up-one-minute-down-the-next problem with these Browned Butter Pecan Mini-Tarts. See the picture below. Like a normal pecan pie, the filling would puff up while baking akin to a marshmallow in a Mason jar when vacuum-packed. Unfortunately, as the tarts cooled and the filling deflated, they looked like an alien had nibbled out of the middle. 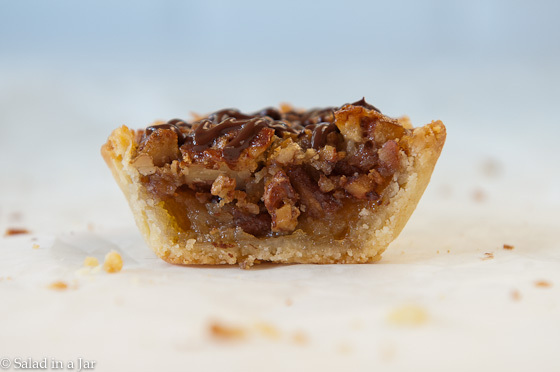 Granted, the same thing happens to full-size pecan pies, too, but the effect is more pronounced in a small tart. This picture is for my friends who think everything I make turns out perfectly. NOT SO! Just in time for Thanksgiving, I figured out a solution!! Increasing the amount of pecans provided additional infrastructure that kept the soft filling from collapsing in the middle as it cooled. I learned this accidentally after observing the first tart shells I filled had more pecans. Consequently, they did not deflate as badly as the tarts filled last with fewer pecans and more of the sweet syrup mixture. If you have never made mini-tart cookie crust before, they can be a little tricky for beginners. 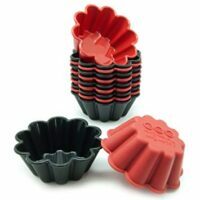 I highly recommend you put your hands on some silicone tart molds that are individual, not connected like muffin pans. They are much easier to manipulate. As I was saying, practice ahead of time. Tart shells are best made ahead anyway and should be stored in the freezer. 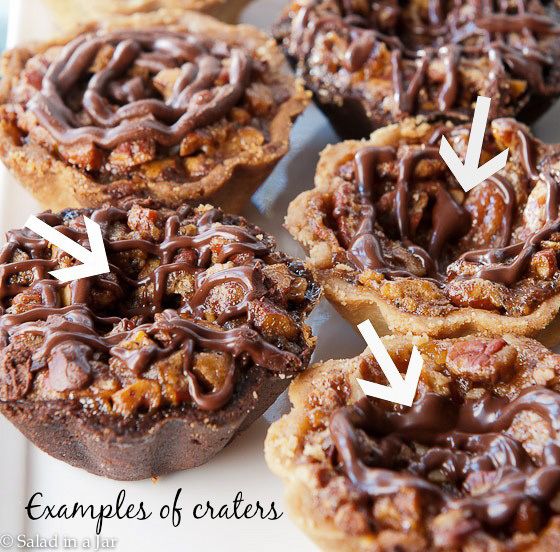 If you are a visual learner, check out the picture tutorial on this post for Pumpkin Pie Mini-Tarts. You can also use commercial tart crusts if you can find them. Commercial tart sizes vary widely. Brown butter in a medium saucepan over low heat. This will take a few minutes. You don't have to stir it constantly but you must keep an eye on it. Pull off the heat when butter starts to turn brown and gives off an amazing aroma. 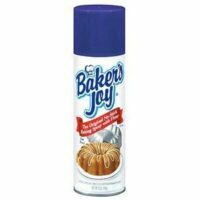 You'll know it when you smell it. Stir sugar into hot butter until it dissolves. Add corn syrup, salt, vanilla, and lemon juice and stir. Then add eggs and whisk gently into butter mixture until combined and smooth. Add pecans. Pour about 1/4 cup of filling into each unbaked, frozen tart shell. Bake in oven at 375 degrees until browned and set. Mine take about 25 minutes but time may vary depending on the size of your tarts. 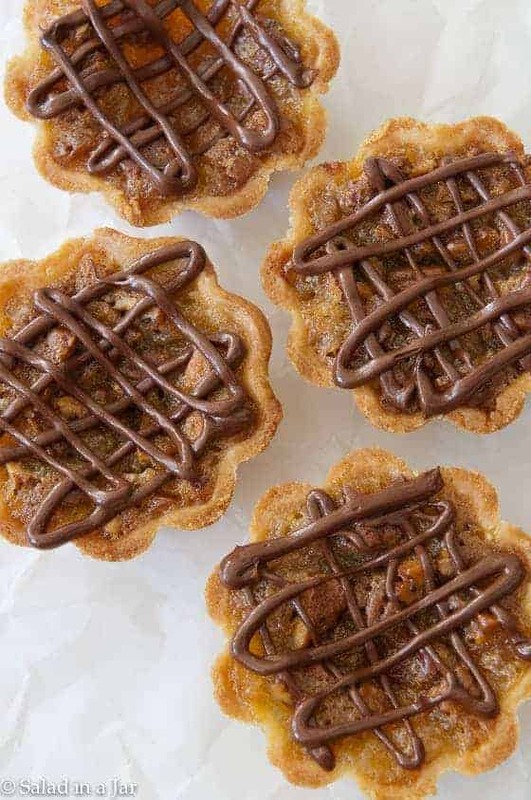 I like the tip here on the pecan mini tarts with more nuts in each one. I’m also thinking of making mini tarts for all my favorite pies that way I get a little bit of everything in a smaller bit! Just an “interested why” question. Why the lemon juice? Is the Karo syrup in the recipe the light colored or the dark colored? I have seen both. Thank you..this recipe looks amazing! Good question! I always use light.